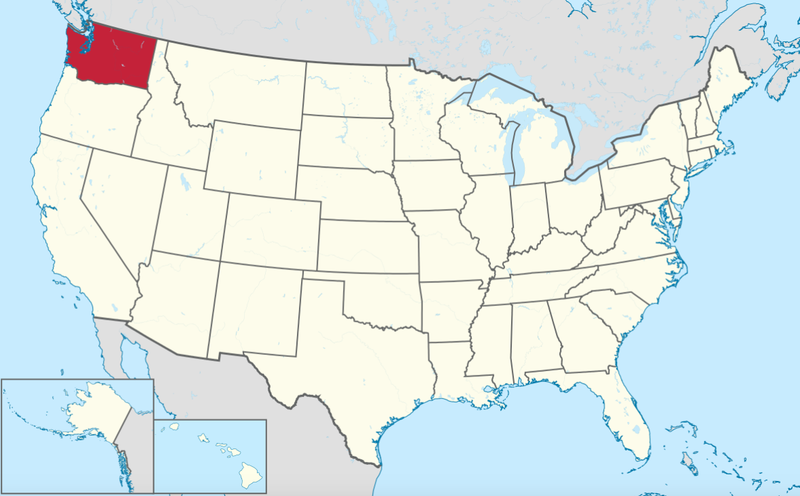 As more people flowed from to Washington from California than anywhere else in the country (thank you William Molinski and Andrew Arranger of Orrik), Washington has over the past few years introduced various bills relating to noncompetes. None passed. This year may be different. This legislative session, there is a scaled-back bill: HB 1967 (as amended). (1) An unreasonable noncompetition agreement is void and unenforceable. If a court finds a noncompetition agreement unreasonable, it may reform the agreement to make it reasonable and enforceable. If a court reforms an agreement, the party seeking to declare the agreement void shall be deemed the prevailing party for purposes of the agreement and under law. (2) For a noncompetition agreement to be enforceable, the employer must disclose the terms of the agreement in writing to the prospective employee no later than the time of the acceptance of the offer of employment or, if the agreement is entered into after the commencement of employment, the employer must provide independent consideration for the agreement. (3) The reformation or unenforceability of a noncompetition agreement does not affect the enforceability of any form of confidentiality, nonsolicitation, or other agreement, or any other terms and conditions between the parties, regardless of whether the other agreement or terms or conditions are contained in the same document as a noncompetition agreement. (4) If an employer requires an employee to enter into a noncompetition agreement containing provisions the employer knows are unenforceable, the employee may recover actual damages, together with statutory damages of five thousand dollars and reasonable attorneys’ fees and costs. (a) “Confidentiality agreement” means an agreement between an employer and employee that protects proprietary and confidential information including sales information, business strategies and plans, customer information, price information, and trade secrets as defined in RCW 19.108.010. (b) “Employee” means an employee of an employer. (c) “Employer” means any person, firm, corporation, partnership, business trust, legal representative, or other entity that engages in any business, industry, profession, or activity in this state and employs one or more employees, and includes the state, counties, cities, all municipal corporations, public corporations, political subdivisions of the state, and charitable organizations. (d) “Noncompetition agreement” means an agreement between an employer and an employee that is specifically designed to impede the ability of an employee to compete with the employer upon the termination of the employment relationship. A “noncompetition agreement” does not include a confidentiality agreement or a nonsolicitation agreement. (e) “Nonsolicitation agreement” means an agreement between an employer and employee that prohibits solicitation by an employee, upon termination of employment: (i) Of any employee of the employer to leave the employer; or (ii) of any customer of the employer to cease doing business with the employer or to compete with the employer. (6) Except as provided in this section, this section does not restrict the right of an employer from entering into a confidentiality or nonsolicitation agreement, or other terms and conditions of the employment or engagement, with an employee. o Make noncompetition agreements void if the employee is a temporary or seasonal employee, or is terminated without just cause or laid off. o Create a rebuttable presumption that agreements restricting competition for more than one year after termination of employment or for employees who are not executives are unreasonable. o Make noncompetition agreements with independent contractors void. Provides that the terms of a nondisclosure agreement must be disclosed no later than the time of the acceptance of the offer of employment, rather than the time of the offer. Provides that for purposes of liability for requiring an employee to enter into a noncompetition agreement with unenforceable provisions, the employer must know the provisions are unenforceable (deletes “or reasonably should know”). Also provides that costs, in addition to attorneys’ fees, may be recovered. As the amendments indicate, there was no appetite for some of the aspects of the original version that would have imposed greater restrictions on the use of noncompetes. On March 8, 2017, the amended bill passed the House 97-0. See Scaled-back bill aimed at providing clarity on non-compete deals passes Washington House 97-0. The bill is still advancing through the legislative process and is poised to receive Senate approval in the near future.